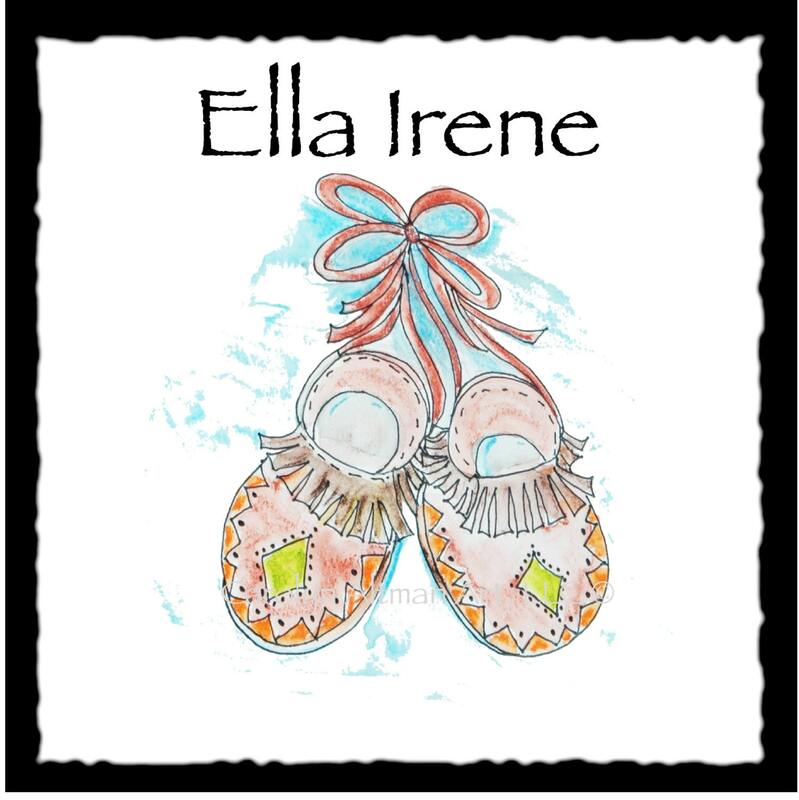 Aztec Moccasins Baby Memory Book, "The Ties That Bind"
A cute and stylish Aztec Baby Memory Book with hand painted and personalized cover. 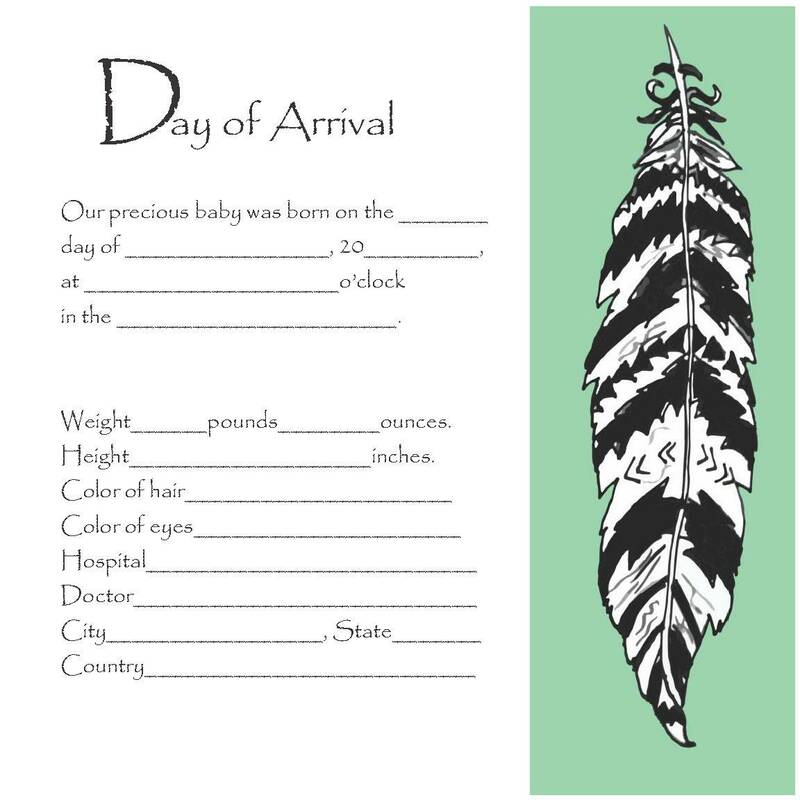 The design is a pair of Aztec moccasins painted on the cover with soft green, gold, orange and white colors on a black book with black trim, making pretty Aztec designs. Your baby's name is added in the top. This is a post bound style book that includes 30 to 60 pages, decorated with Aztec designs and colors to match the theme and are inserted into plastic archival sleeves for safe keeping. 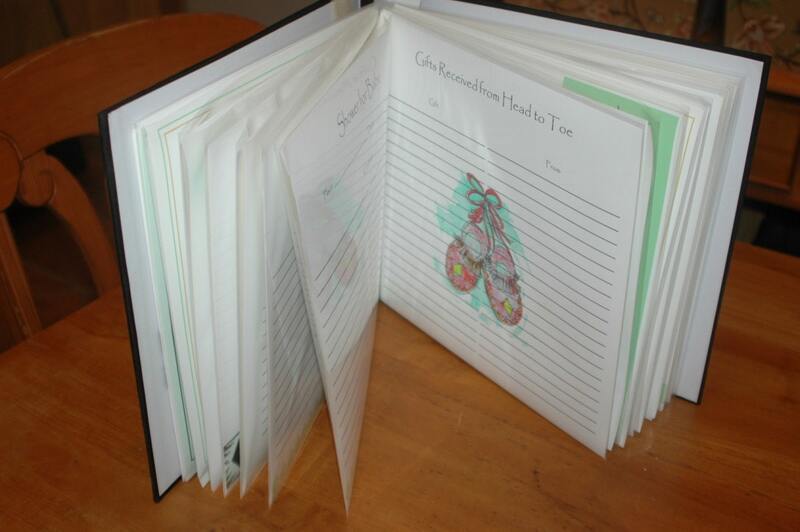 More than a baby book, this is a work of art! 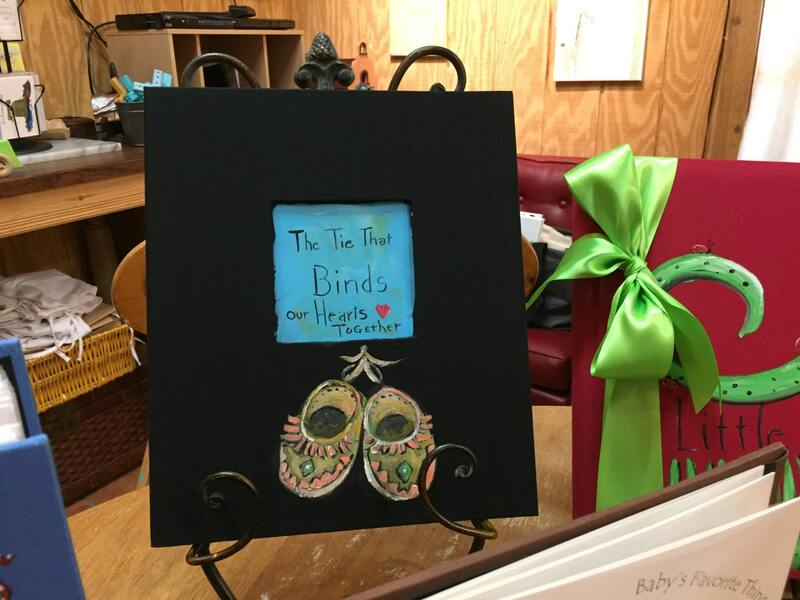 Display on a small easel on a dresser or table in your baby's nursery. 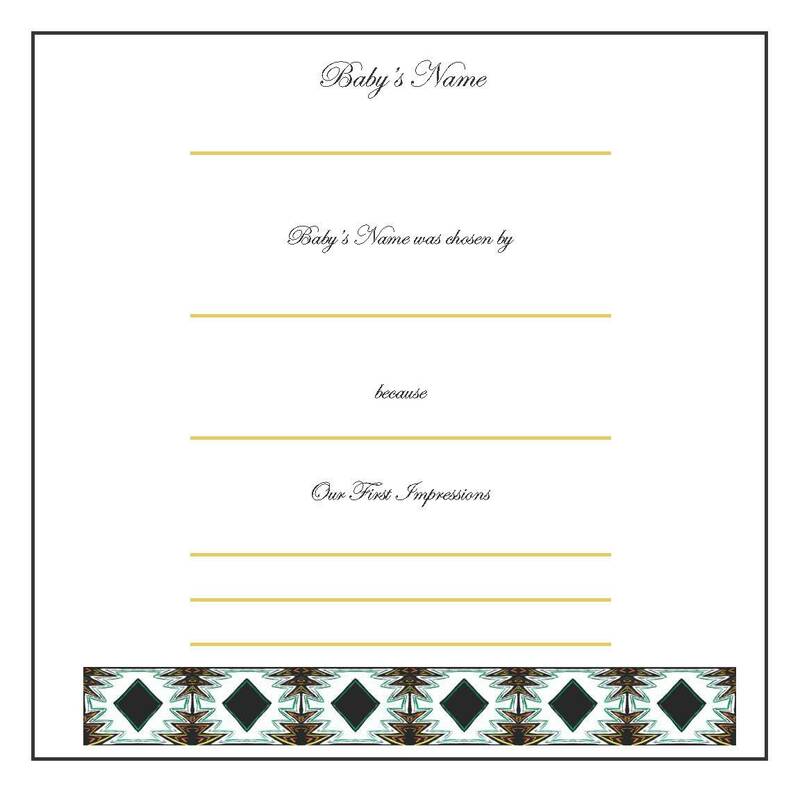 Enter your baby's name in the comment section when ordering, or email me the name at carolyn [!at] carolynaltmanart.com.